Angel’s hair and sweet almonds are made in heaven. 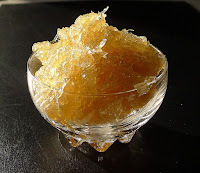 Angel’s hair, or cabello de angel, is the confiture of squash that I made a couple weeks ago (that recipe is here). 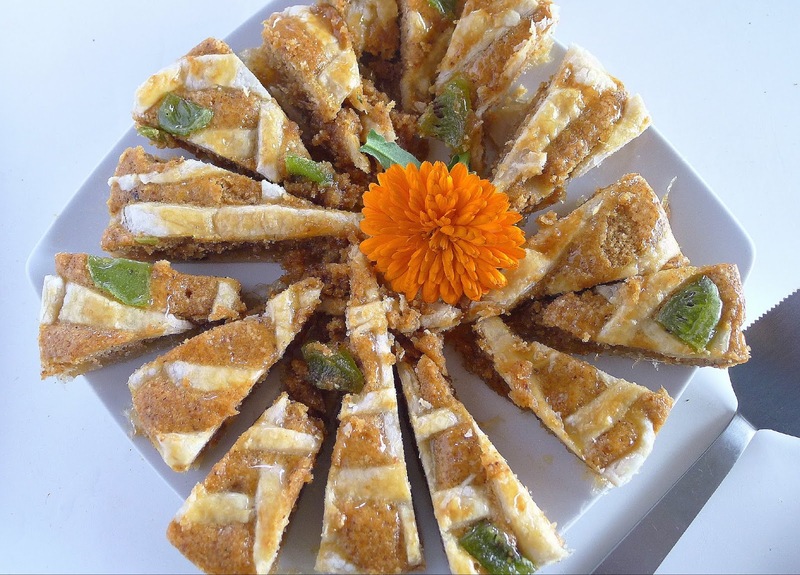 It’s a favorite filling for Andalusian empanadillas, fried turnovers, for cortadillos de cidra, a lard shortbread pastry, and for Mallorican ensaimadas, a spiral sweet roll. 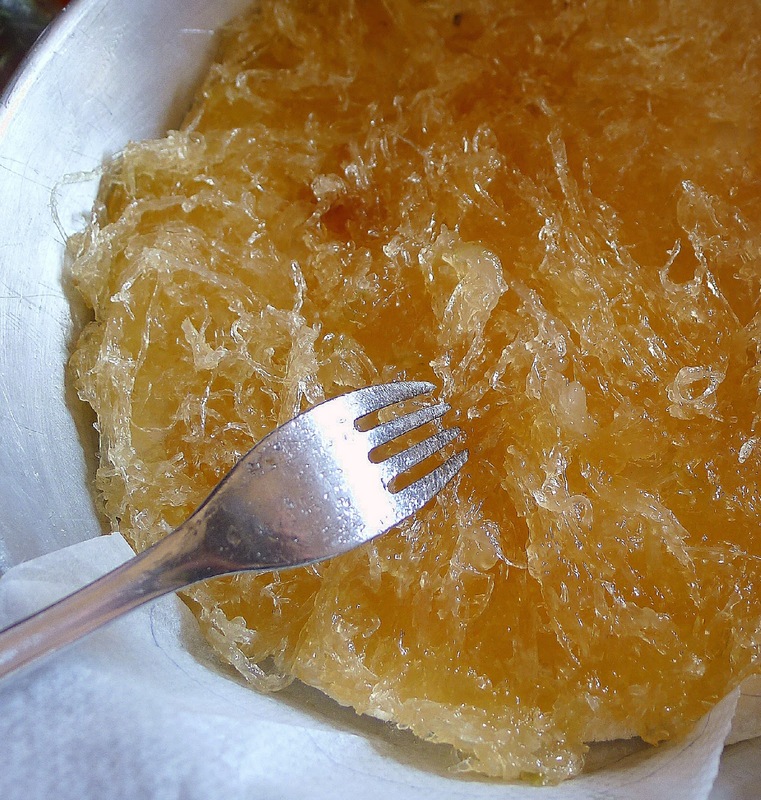 This Galician tart that combines the angel’s hair with almonds intrigued me. A puff pastry tart is filled with golden strands of angel's hair and sweetened almonds. 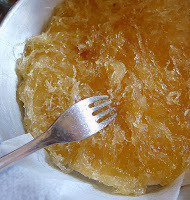 The classic tarta mondoñedo (from the town of Mondoñedo in Lugo province of Galicia), according to the recipe by Álvaro Cunqueiro in Cociña Galega, the bible of Galician cooking, is made with layers of bizcocho (sponge cake) soaked in sugar syrup, angel’s hair and ground almonds baked in a crust of puff pastry and topped with pastry lattice and candied fruits. Sounds divine. 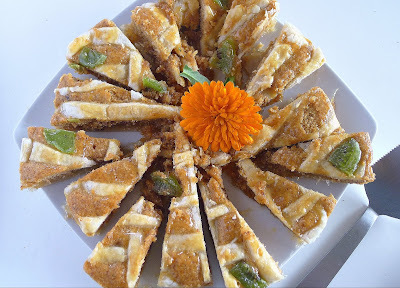 On a TV show I watched a pastelera (pastry maker) in Santiago de Compostela make a variation on the classic tart, omitting the sponge layer and mixing the ground almonds with eggs and sugar to spread on top of the angel’s hair. That reminded me a lot of Santiago Almond Torte, which I adore, so I decided to try the variation. 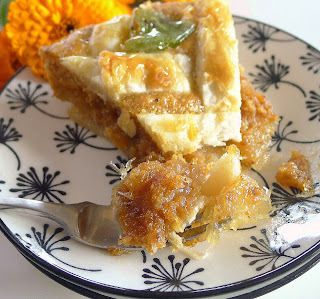 If my tart was a little short of celestial, it was not for lack of golden angel’s hair. The problem was the hojaldre, puff pastry. I don’t get it about puff pastry—why use it if it can’t puff and get crisp? Compressed as the base of the tart, the crust was pasty. I think I would use a pasta quebrada (flaky shortcrust pastry) on the next try. Traditionally the tart is decorated with candied cherries, red and green. Incredibly, I couldn't find any. Just weeks after Christmas, all the stores cleared their inventory of candied fruits. All I found were candied kiwis! 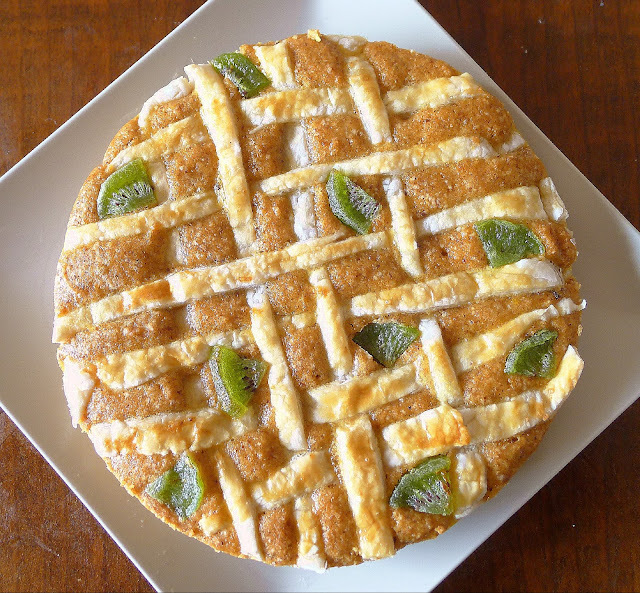 A layer of sweet, golden angel's hair is topped with sweetened ground almonds and a lattice crust. 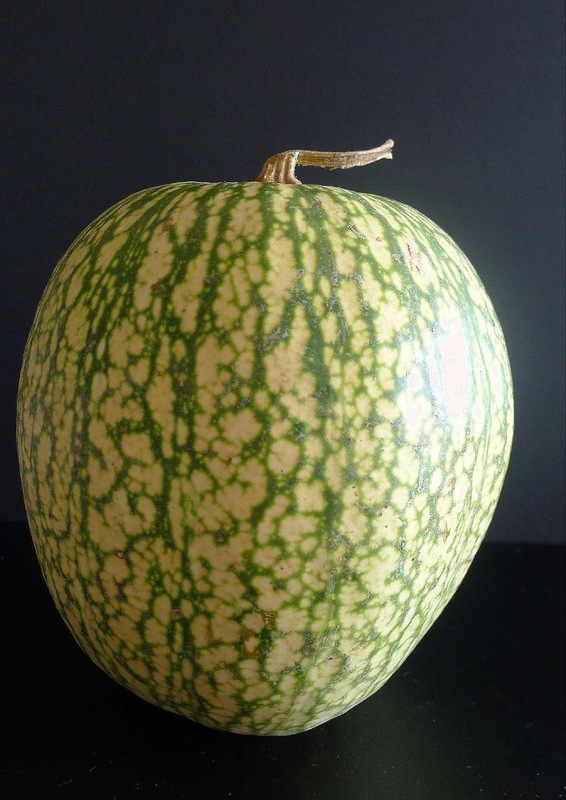 Not everyone will be able to make cabello de angel, angel’s hair, the candied squash confected from the strands of cidra, Malabar gourd. In Spain, you’ll find it in cans or jars, with other jams and marmalades at the supermarket. If not available, use apricot jam for this tart. If angel’s hair or jam is too stiff to spread, mix it with 1 tablespoon boiling water to loosen it slightly. 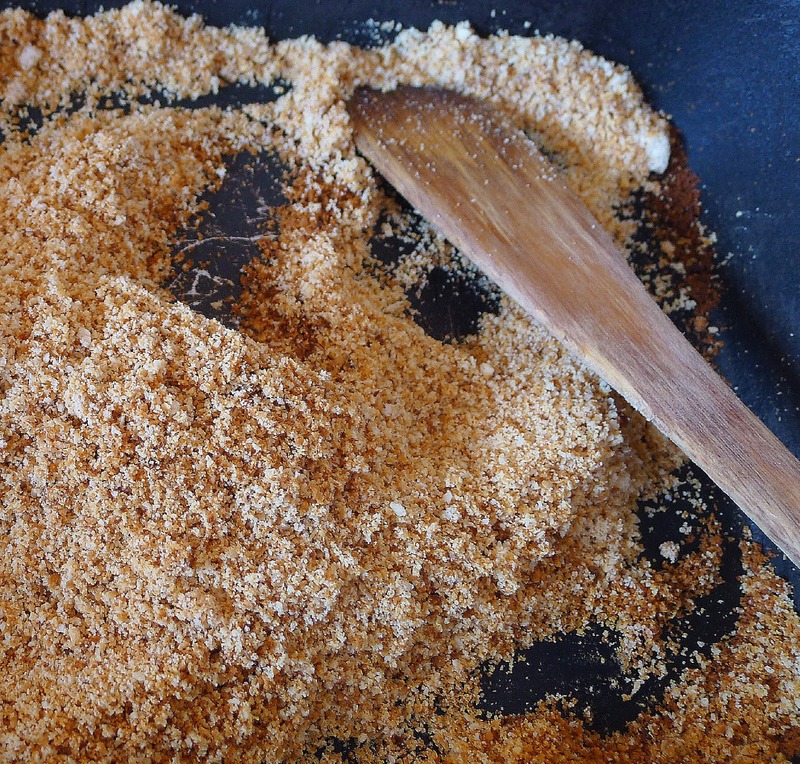 Spread the ground almonds on a rimmed baking sheet and place in the oven, turning them once or twice, until uniformly toasted and golden, about 12 minutes. Allow the almonds to cool. Raise oven temperature to 425ºF. Lightly grease a 9-inch round cake pan and line it with baking parchment, leaving an overhang of the parchment to help in removing the tart from the pan. 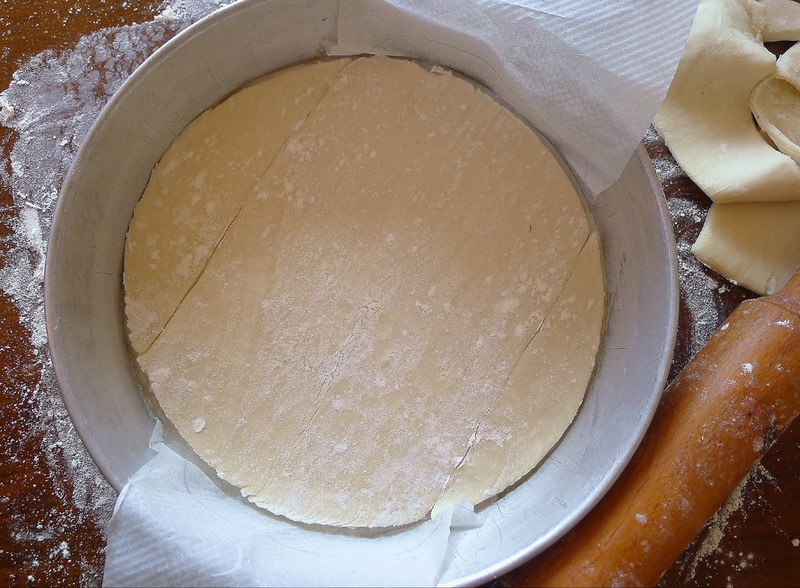 On a lightly floured board, roll the puff pastry just enough to cut a round to fit in the bottom of the cake pan. Save the scraps of dough. Place the pastry in the pan. Spread angel’s hair on top of the puff pastry dough. In a mixing bowl, beat 4 eggs with ¾ cup sugar until light. 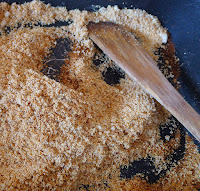 Add the zest, juice, flour and ground almonds and mix well. Spread the almond batter on top of the angel’s hair in the cake pan. Roll out remaining scraps of puff pastry and cut them into strips, ½ inch wide and long enough to criss-cross the top of the tart. Place the strips on top of the tart in a lattice. Decorate the top with candied cherries. Bake the tart 10 minutes. Reduce temperature to 375ºF. Bake until the pastry is golden-brown and the almond filling is done (skewer inserted in center comes out clean), 20-25 minutes. Cool the tart on a rack. While tart is cooling, make a simple sugar glaze. Boil 1 tablespoon sugar with ¼ cup water until reduced by half. Brush the top of the tart with the glaze. To serve, loosen the sides of the tart with a sharp knife. 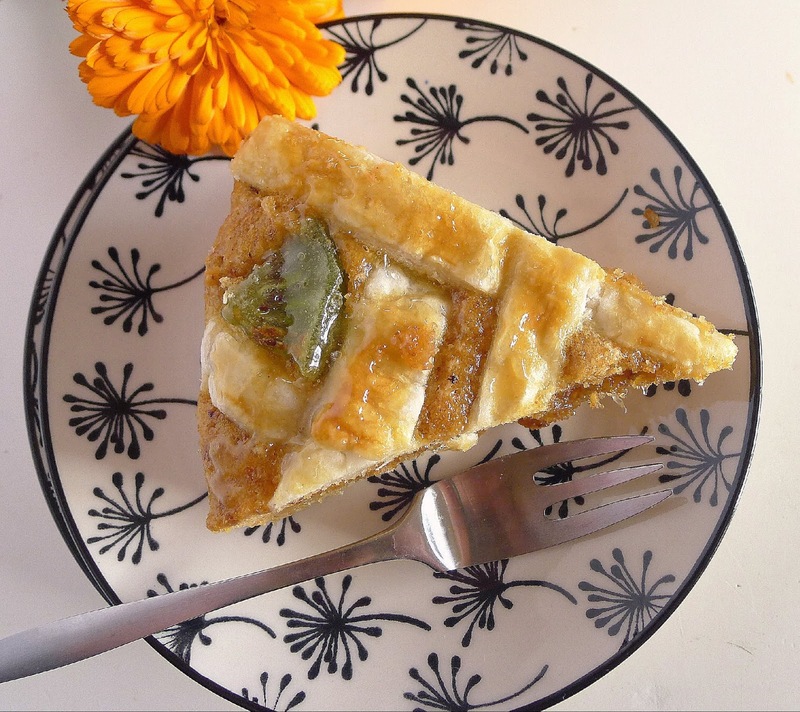 Use the overhanging parchment to lift and slide the tart out onto a platter. Carefully pull the parchment out from under the tart. 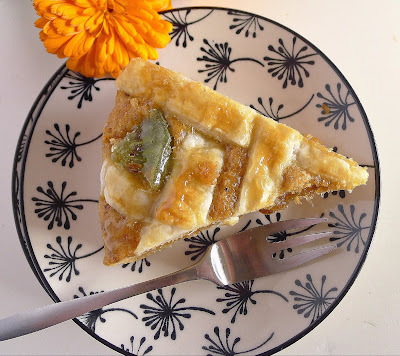 Use a serrated knife to cut the tart into thin wedges. 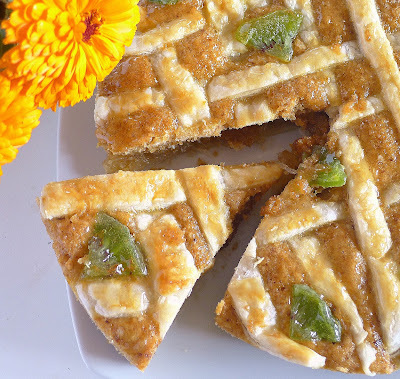 Because the filling is so sweet, the tart can be served in very small slices. Cidra--Malabar gourd--from which the angel's hair is confected. Fried Turnovers with Pumpkin Jam. 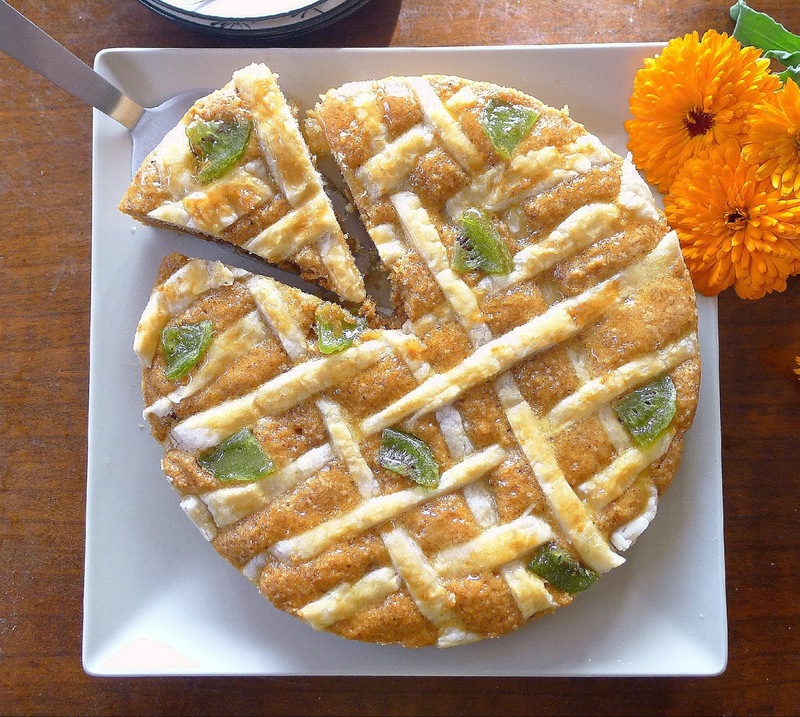 Another almond tart: Santiago Almond Torte. THE SEASON FOR "SPOON FOOD"